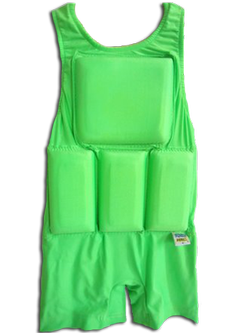 Since the Aqua Force child flotation device is made for a snug yet comfortable fit, order the right size for your child to use immediately and not the size you think will work in the future. Each child is different, and the way he or she uses Aqua Force will vary based on factors such as size, body weight, body density, age, ability, environment and experience. Small children may need assistance in learning to relax and gaining control in the water. Even with an Aqua Force personal flotation device, nothing replaces adult supervision to ensure water safety. Remember, while the Aqua Force is a dependable personal flotation device, there is no substitute for vigilant adult supervision.